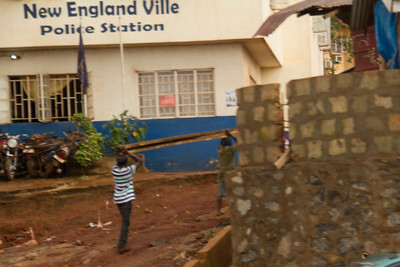 Here's another picture of the tree. 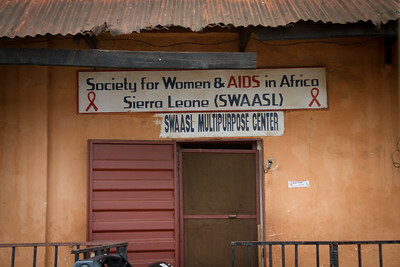 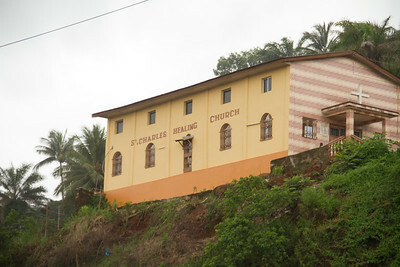 We drove by several different AIDs clinics and outreach programs like this through town. 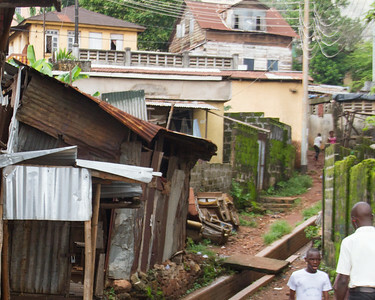 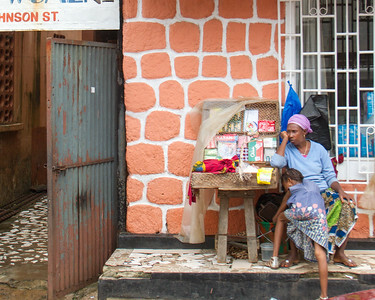 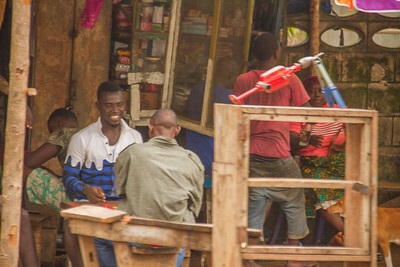 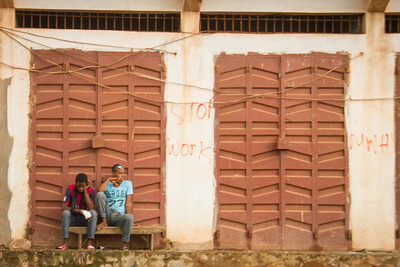 The HIV prevalence in Sierra Leone is 1.5% and has remained at the same level since 2008. 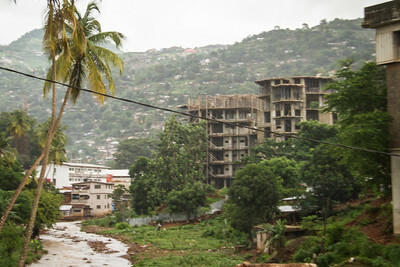 This stabilization means the country is rated as one of the least affected compared to others in the sub-region and globally. 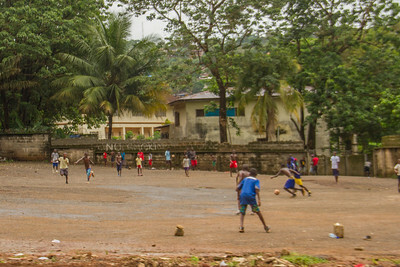 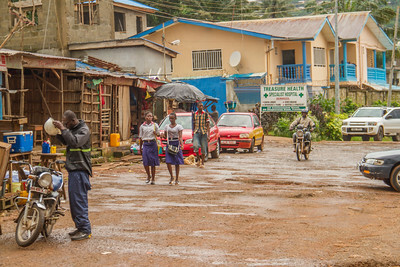 Before the outbreak of the Ebola crisis in Sierra Leone in Apri 2014l, one key area of success in the fight against HIV/AIDS had been in curtailing mother-to-child transmission. 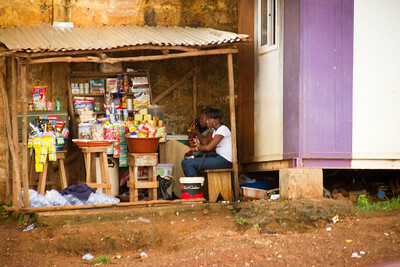 Running this little bodega must make for long days. 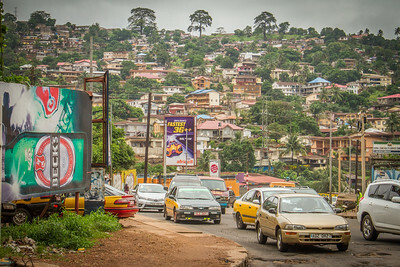 Sightsavers is a UK-based international charity which fights avoidable blindness and promotes equal opportunities for visually impaired people. 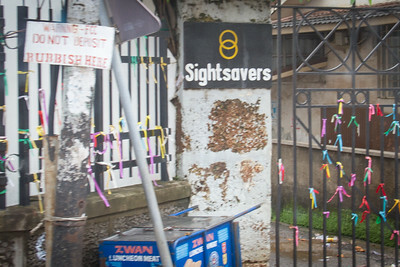 I am not sure what the ribbons signify but they look like wish ribbons and are often tied to church gates. 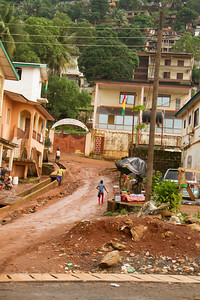 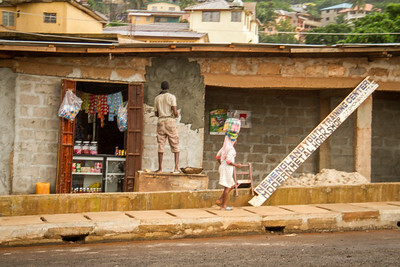 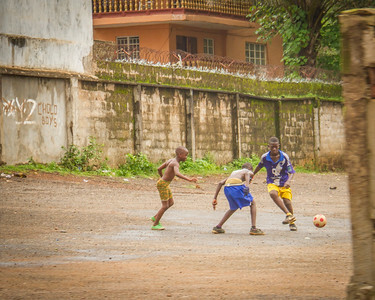 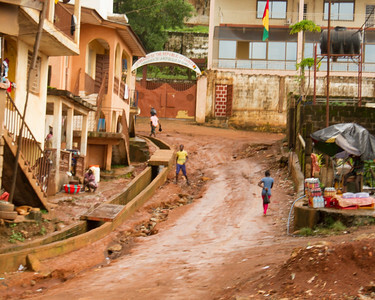 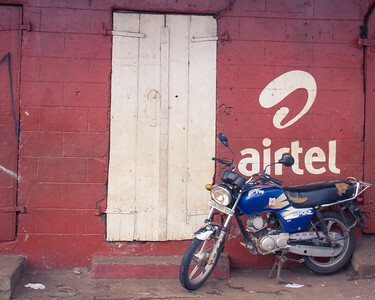 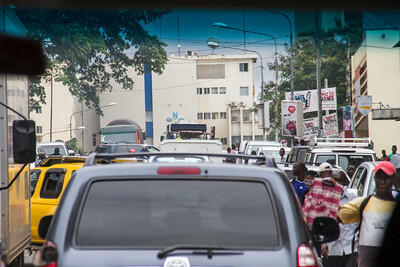 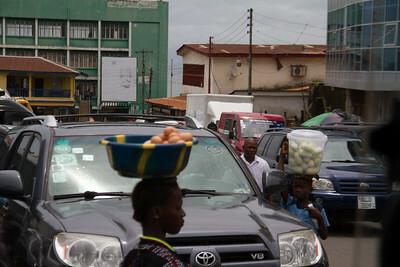 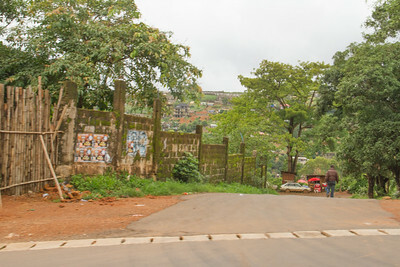 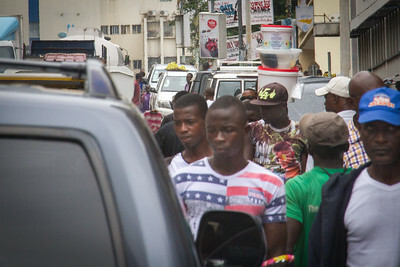 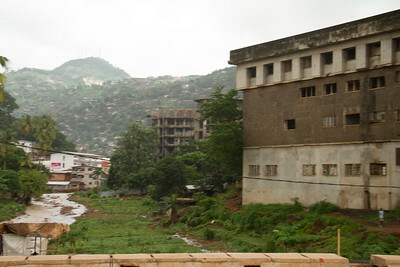 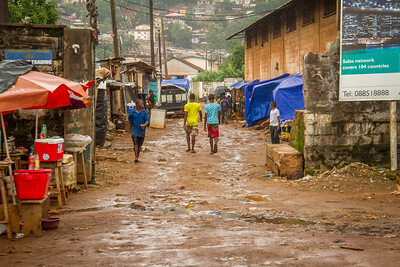 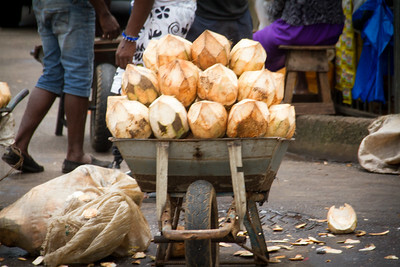 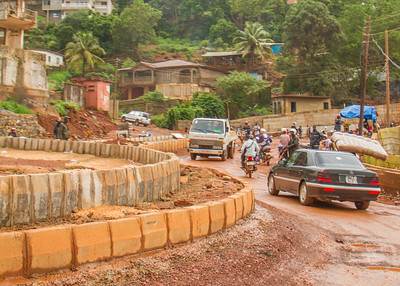 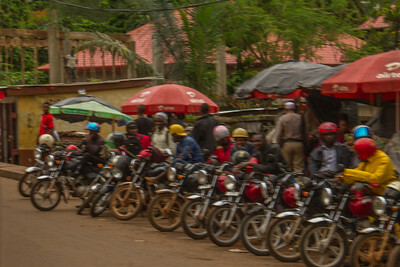 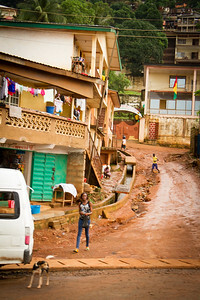 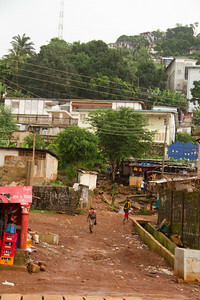 Traffic moves slow on the streets of Freetown. 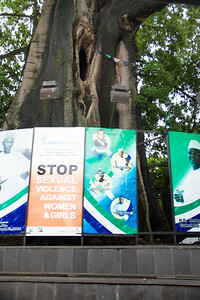 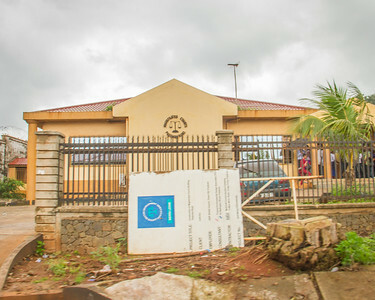 In Freetown at this center of a roundabout surrounded by a concrete fence and adorned with various messaging stands an enormous Cotton Tree. 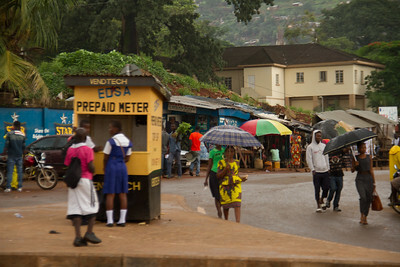 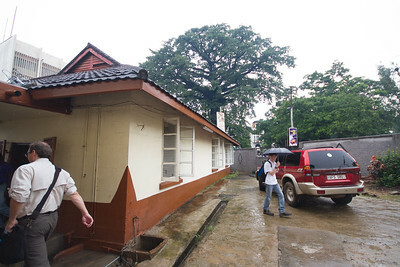 The tree is the city's historic symbol and most famous landmark. 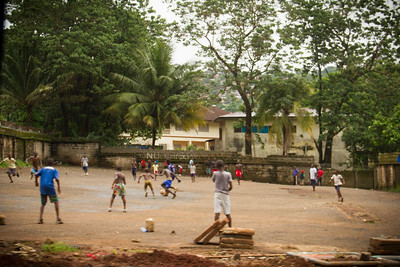 The tree is known to have existed in 1787 when the first settlers arrived. 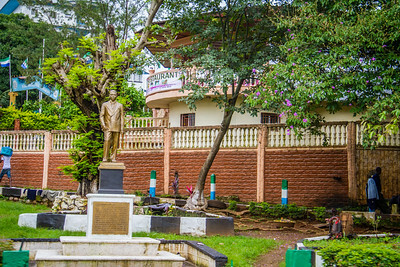 It is believed that when a group of former African American slaves, who had gained their freedom by fighting for the British during the American Revolutionary War, landed in Freetown, they apparently rested and prayed underneath the shade of the tree. 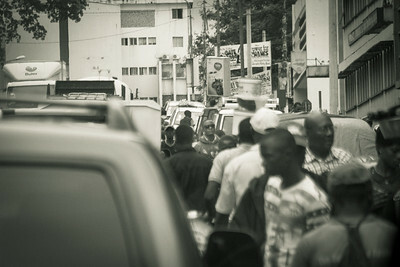 I just loved the composition of this photo snapped from the van window. 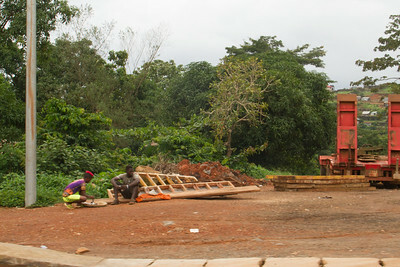 So many structures are built slowly and stand in a skeletal state. 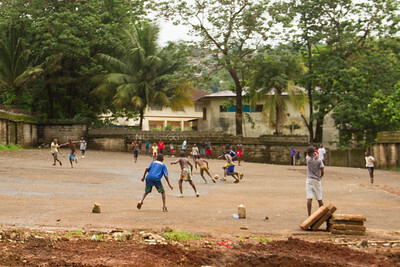 We drove by this open area multiple times and every time we did, there was a game of football taking place. 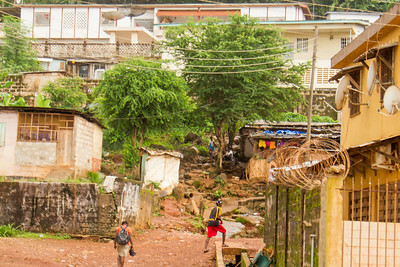 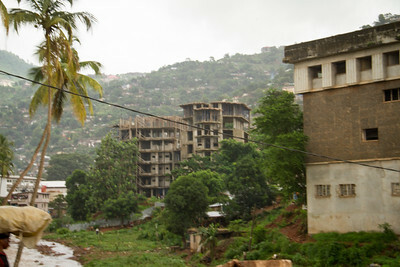 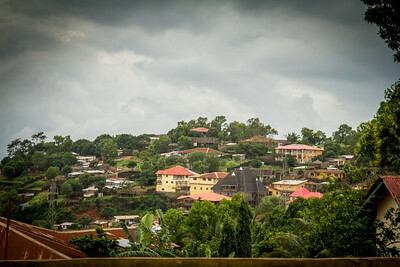 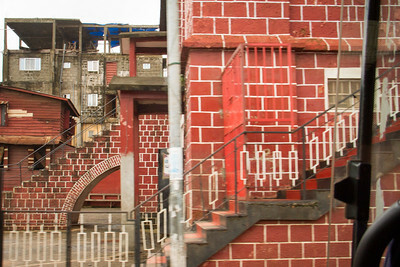 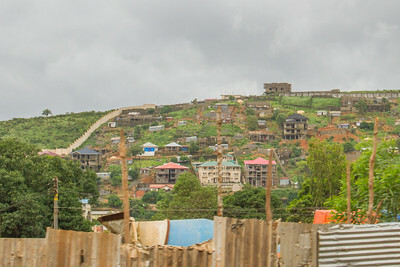 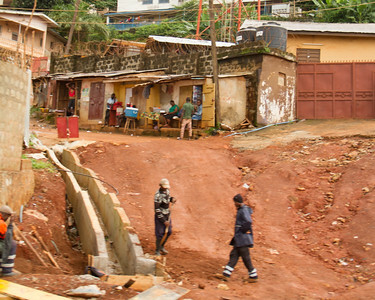 What's interesting about the photos of the Sierra Leone hillsides is the luxurious homes next to shacks and incomplete structures. 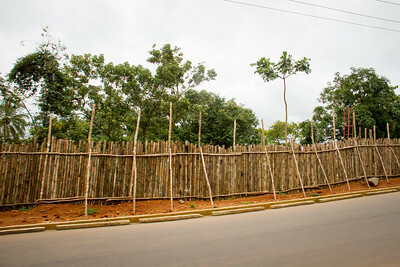 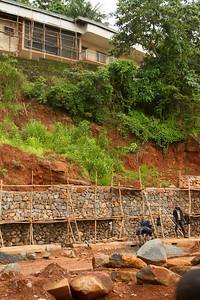 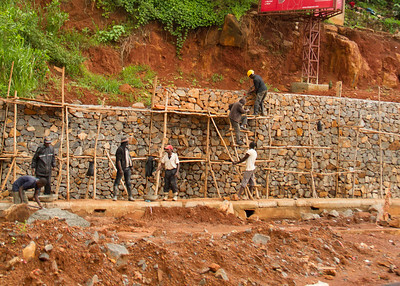 A wall of bamboo held up by bamboo scaffolding.